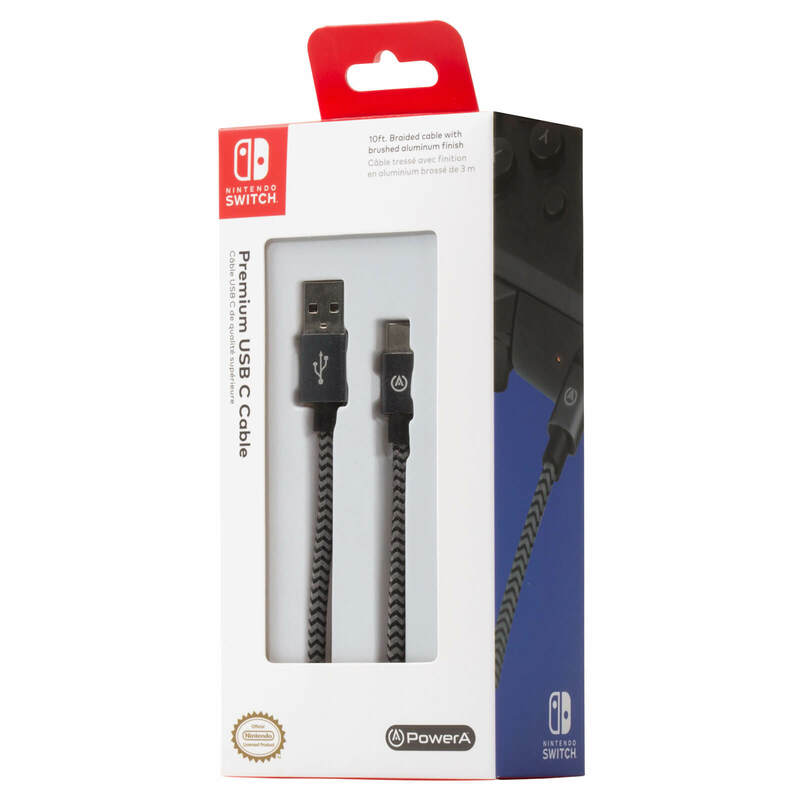 A heavy duty braided cable with which to connect and charge your Nintendo Switch, Nintendo Pro Controller and Joy-Con charging grip. Charge your Nintendo Switch console, controllers and accessories! 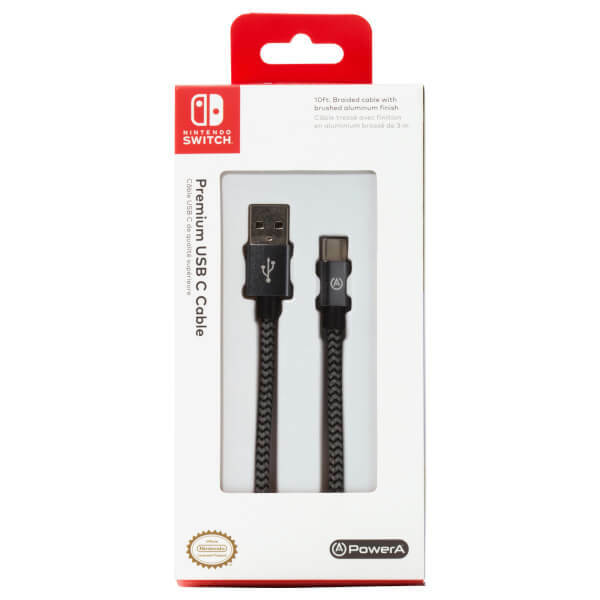 The Nintendo Switch Premium USB-C Cable is officially licensed and features a 10ft braided USB to USB-C Cable with brushed aluminum finish. Only thing I think Nintendo need to do is make a USB AC Adaptor that an be used with this cable to actually charge the switch console with. Due to the fact the USB AC Adaptor you can get off the official Nintendo website is not allowed to be used to charge the Nintendo Switch Console.